As the year grows the quality of the afternoons begins to change. 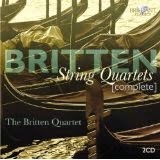 During January and February I spent the late afternoons listening to string quartets, particularly Benjamin Britten’s 3rd Quartet with its long, slow passacaglia movement which I usually timed to be listening to as the light was fading. But now, at that time of afternoon, it’s still light and I might still be out walking or working to get the garden ready for another season . But that ‘string quartet time’ seems to have embedded itself as an essential part of the day. So I listen in the evening or perhaps on a rainy afternoon. But it’s not the same. Somehow it fitted the rhythm of days in those first two months of the year when the light was thin and faded early. Can art be relegated to times of day and times of year in this way? It hardly seems as if this can seriously be considered, and yet my experience of both the afternoons and the music has altered. The passacaglia has hypnotic repeated phrase which captures the slowness of winter afternoons, the pace of the passing days. Britten wrote it right at the end of his life and it has a resonance of this about it. I considered finding a you-tube clip to embed in this post, but the only one available is an interpretation of the music that is very different to the one I have. The players slide the notes into each other giving it a ‘romantic’ feel, while my recording (from The Britten Quartet) keeps each note distinct and conveys a much more austere feel which I think is needed for this music. 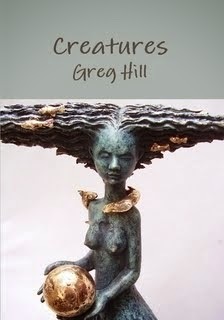 Perhaps this is subjective, just as my own use of the music to fit in with winter afternoons. The slower pace of a life of semi-retirement and lack of pressure makes those afternoons something to savour, a pleasure to be appreciated though not without their own melancholy texture. Perhaps I should put that CD away for a while and rediscover it at another time of year. But the afternoons are changing. Or rather the evenings seem distinct from them rather than overlapping liminally with the daylight hours. Spring will banish melancholy and other music will choose itself. Even so, just now the Sun is gleaming through the bare outline of the trees on the ridge and I think I might listen to that recording at least one more time.